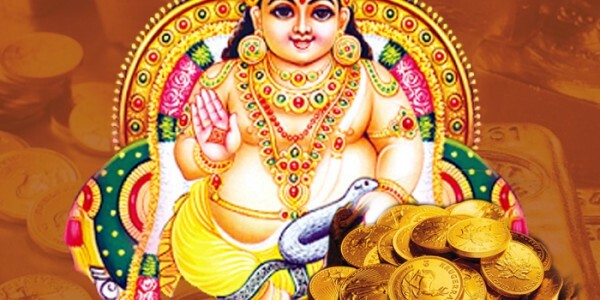 In Vedas Kuber is known as the treasurer of the riches of whole world and that is why worshipping him is considered as a surety of wealth, richness and prosperity. Vedas also tell that Kuber should be worshipped along with Lakshmi who is also Goddess of wealth as their worship bestows blessing in the form of richness, fulfilment and satiety. According to Vedic scriptures Kuber is worshipped during Lakshmi Puja on Amavasya day and we, At puja Yagya ensure complete Vedic accuracy during proceeding of Puja. In Vedas, it is also mentioned that Kuber is also worshipped on Dhan Trayodashi during five days Diwali festivities and we in that time period provide one of the most convenient and guaranteed Puja Services, as our pundits are well Gurukul Trained purohits. The day of Amavasaya in the month of November is most auspicious for the Sri Lakshmi Kubera Pooja and for this, the Yanthra of Sri Lakshmi Kubera should be perfectly placed on a clean cloth. Additionally, a plantan leaf should be spread over wooden plank on a Friday or Tuesday at the appropriate time mentioned in Vedas. For properly conducting Puja, the Puja Kalasa should be placed on the plank near the yanthira on the right side and it should also be filled with clean water. Mango leafs should also be perfectly placed in the Kailasa Kumkum, and additionally chandan and pushpa Mala should also be properly used. Puja Yagya understands all the idiosyncrasies related to Kuber Puja and that’s why with us getting all the benefits of this Puja is absolutely ensured. We include complete transparency and our way of conducting Puja includes completion of all the rituals and procedures with genuine authenticity. We know importance of Vedas and their rituals as our Pundits are well trained Gurukula experts who arrange Puja in a manner that ensures fulfillments of all the expectations.